There's a certain smugness to be felt when last years buys are trending again the following season...A pair of shoes that I was *70/30 (*for) in 2016 and are now, weather permitting, getting some further love! 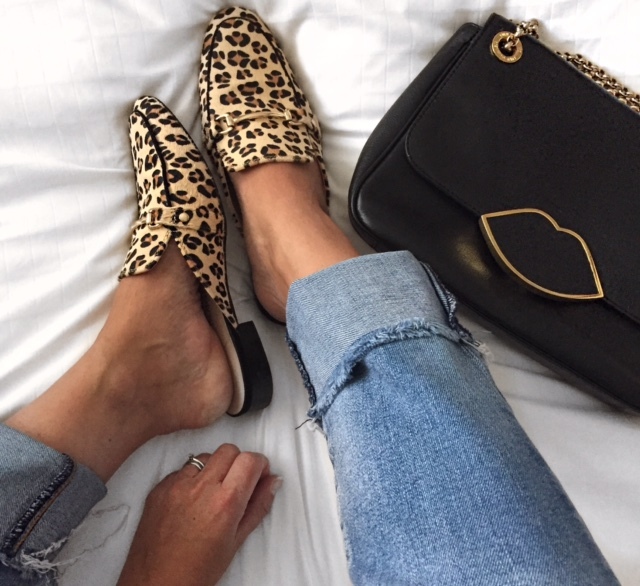 So far, these leopard backless loafers (a neutral pour moi), have been on 4 times in the last 2 weeks (a good shoe wear ratio in my wardrobe). 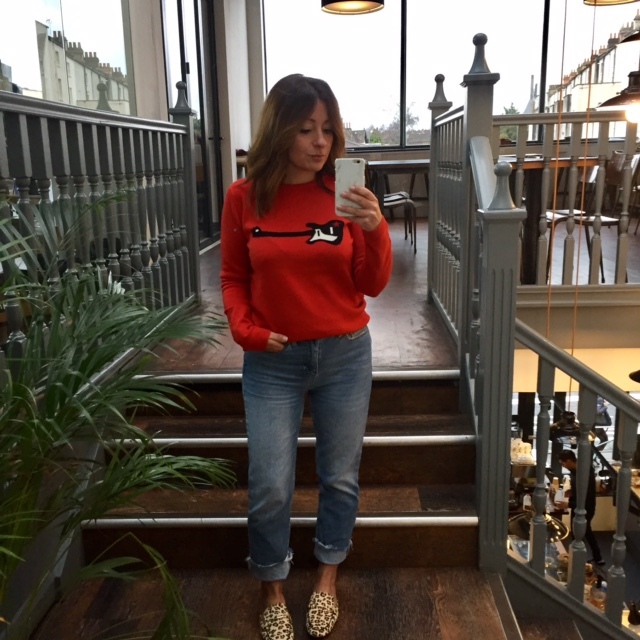 Worn with the bargain Bella Freud knit (sold out but linked another gorgeous one) and my new favourite Toppers jeans last week. Worn for Sunday lunch with some old raw hem jeans, slogan tee and blazer - similar items linked. 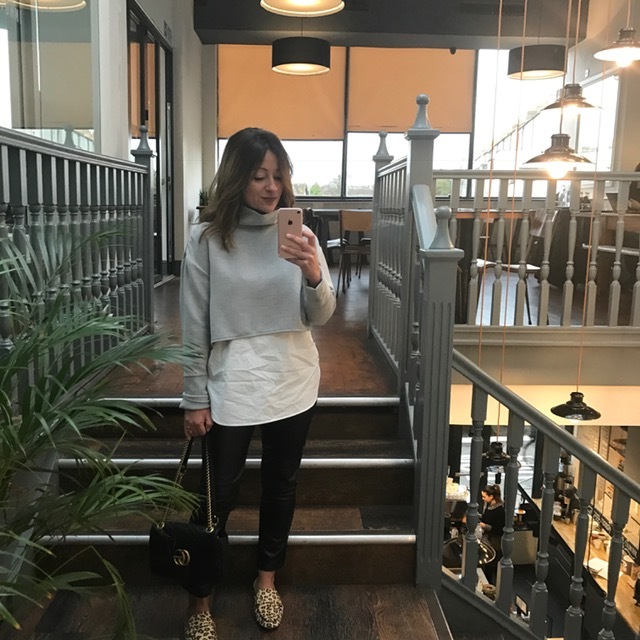 Worn last Friday with the Zara layered top, faux leather trews and my of-the-moment bag - similar items linked. The world of retail is tempting us with more backless loafer action so I've popped together a little selection for you to peruse at your leisure, you know, if you are so over your boots and are yearning for Spring. Smacking of Gucci vibes for a 10th of the price and perfect with a white shirt and jeans - buy here. I love the shape and colour of these, a likely addition to the walk-in - buy here. Bling on the loafers... why not?! Surely I won't look out of place at Soft Play in these... - Buy here. More pink...a beautiful neutral, again - buy here. A different colour way to mine, I sized up in these - buy here. Fur and zebra print! A trend piece and beautiful statement shoe - buy here. I wish you warm weather vibes for wearing these! Before I go, if you're interested, pop over to this blog to have a read of a Q&A session I had...One answer you probably wouldn't have guessed!! !